The American contingent of 900 troops, who arrived in Poland in March, will serve side by side on a rotational basis with 150 British and 120 Romanians soldiers in Orzysz. 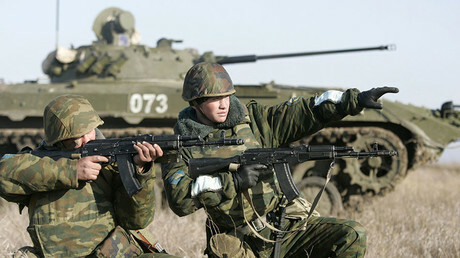 In the future, the battalion will be joined by the Croats who entered NATO in the sixth enlargement in 2009. The multinational battalion which is part of NATO’s Enhanced Forward Presence in Eastern Europe will be stationed just a stone’s throw away from the Russian border enclave of Kaliningrad. Despite the fact that around 600,000 Soviet soldiers lost their lives liberating Poland from the Nazi yoke in 1944-1945, President Andrzej Duda said the US troops should have arrived seven decades ago. “Generations of Poles have waited for this moment since the end of World War II, generations that dreamt of being part of the just, united, democratic and truly free West,” Duda said at the welcoming ceremony just 60 miles (100 kilometers) away from the Russian border. 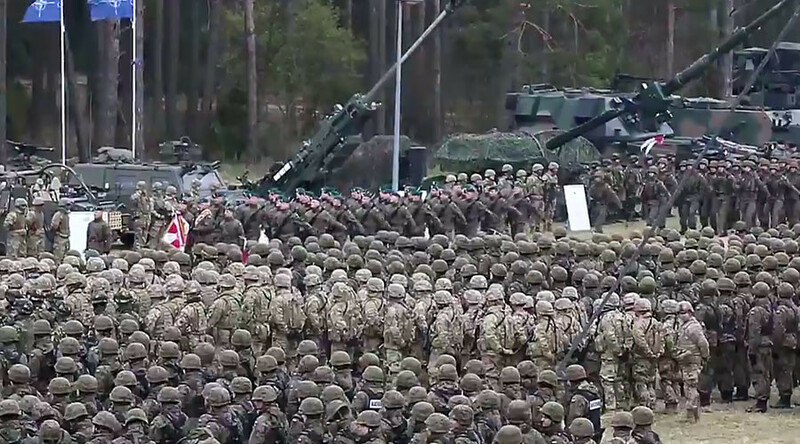 “Deploying of these troops to Poland is a clear demonstration of NATO's unity and resolve and sends a clear message to any potential aggressor,” said Scaparrotti. “NATO troops have come to Orzysz to defend us and deter any enemy who could threaten Poland and its allies,”added Polish Defense Minister Antoni Macierewicz. NATO's forces in Poland are just one of four multinational battalion-size battle groups which the alliance started positioning earlier this year in Latvia, Lithuania, and Estonia on a rotational basis. The concept of “rotational” deployment was introduced by the alliance to maintain a continuous military presence, bypassing the existing agreements with Russia which limit “permanent” troop deployments in Eastern Europe. The new “defensive” measures were agreed during the NATO-Warsaw summit in July. These units – led by the United Kingdom, Canada, Germany, and the United States, along with their military hardware – signals NATO’s biggest deployment of troops along Russian borders since the end of the Cold War. The battalions are set to become fully operational by June. Besides stretching its reach into Eastern Europe, NATO is also beefing up its presence in the Black Sea region – on land, sea, and air with several countries already contributing their forces and expertise. Since the spring of 2014, NATO warships, including missile cruisers from the US and other allied nations, have been patrolling the Black Sea on a rotational basis, never leaving the area unattended. Moscow has over the years, repeatedly warned against the threat of NATO’s eastward expansion. Apart from NATO's enhanced Forward Presence and the Black Sea buildup, Russia has also been vocal about last year's launch of a new ground-based missile defense system in Romania known as Aegis Ashore. Another part of the system, which will see a missile launch platform in Poland, is expected to be operational by 2018. In response, and to render NATO’s eastward expansion strategically ineffective, Moscow deployed the S-400 air missile defense system together with nuclear-capable Iskander missiles to Kaliningrad. In addition, Russia's Defense Minister Sergey Shoigu announced last year that Russia will deploy two new divisions in the west and one in the south to counterbalance NATO's increased military presence near Russian borders.